You’ve got to fight for your right to protect your turf. That’s a lesson two Central Coast technology companies are learning as they weigh the benefits of success versus the costs of major litigation. In the case of Yardi Systems, the Goleta-based maker of property management and related software, it went to court in Texas to protect its intellectual property and won at least a partial victory over rival RealPage in an out-of-court settlement. Many of the terms weren’t disclosed, but if our reading of the settlement is correct, Yardi gets to keep its intellectual property intact and collects payments for RealPage’s hosting of Yardi software on its cloud-based offerings for a period of time. Meanwhile, biomedical device maker Sientra, a South Coast startup, is in a fight with Johnson & Johnson over Sientra’s hiring of some 20 marketing officials from Mentor Worldwide, another South Coast company that J&J acquired for $1 billion in 2010. J&J says Sientra is competing unfairly and trying to steal its customers. 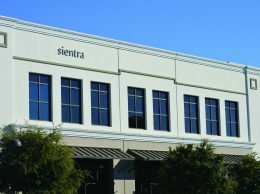 Sientra stunned the clubby world of breast implant makers when it announced earlier this year it had received FDA approval to offer what it describes as a more advanced product. “Sientra will not be cowed,” said CEO Hani Zeini, perhaps channeling his own inner Beastie Boy. It was after all the famous rock group that exhorted its fans to fight for the right, only this time it was to party. Rock lyrics aside, it’s important to the future of the Tri-Counties that our incumbents are able to protect their intellectual property and their key staff. In software our region has carved out a global reputation for building successful niche companies ranging from QAD in Carpinteria to MindBody in San Luis Obispo. In medical devices, the region is host to any many companies, including PBS Biotech in Camarillo, Inogen in Goleta and Den-Mat, soon to move to Lompoc. The technology business is competitive, and sometimes the competition is a bare-knuckles brawl. But as long as competitors are playing by the rules, the markets will be a fair and final arbiter. Funding from the Jack Kent Cooke Foundation is helping to connect the dots between outstanding science students in community college and UC Santa Barbara. 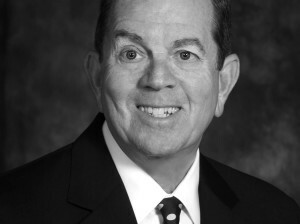 The UCSB Cooke Bridges program, named for the former Washington Redskins owner, is partnering with students from Oxnard, Allan Hancock, Santa Barbara and Ventura community colleges to provide scholarships for low-income students interested in science, technology, engineering and math. These so-called STEM programs are vital to the success of our scientific community, and we welcome the Cooke Bridges Program to our region. There’s been a lot going on at Sansum Clinic this summer. The large independent healthcare organization is building a new facility and forging new relationships. The newest is a partnership with the Cancer Center of Santa Barbara, also a nonprofit in the healthcare field. Having announced their partnership, we expect the two organizations will smoothly merge their boards and other aspects of their organizations. The benefits of combined administrative functions and leveraging Sansum’s expertise in electronic medical records are obvious. First of all, Yardi is opening a can of worms that it should not. I believe the statement “partial victory” is key here, and more detail should be highlighted to explain. As for Johnson and Johnson vs. Sientra… Excuse me, but– since when are people “property?” I heard, CA was an “at-will” state. People are free to work wherever they feel is best for them. Companies do not OWN their employees.